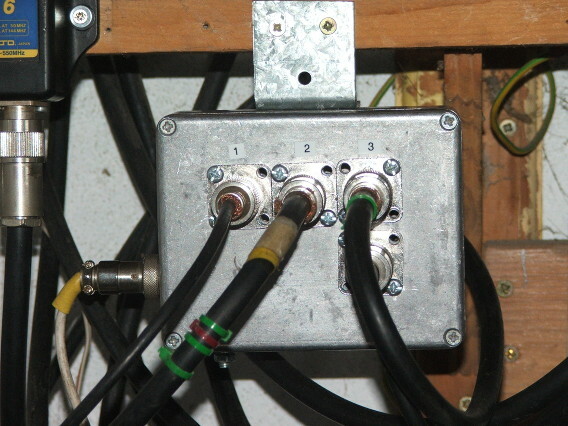 One of the problems of multi band transceiver’s on higher frequencies is lack of antenna sockets. As beams are the only way forward for dx. There are commercial units available but are pricey and not always configured to suit every ones shack. Answer is as always out with the soldering iron. 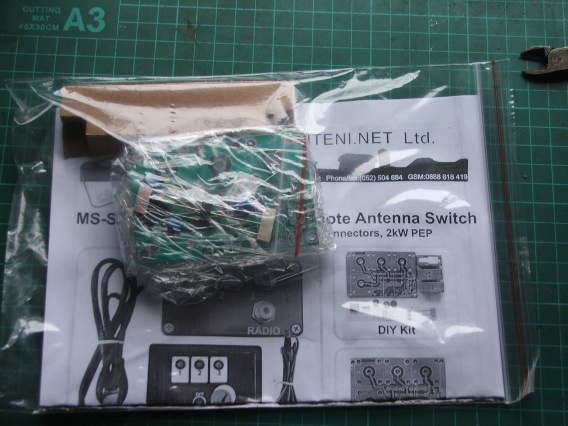 There is a good number of kits to be found on the internet with nice professional pcb’s at good prices. No need to re-invent the wheel. My requirements was a 3 way device for the Ic 7300. This would cover hf,6m and 4m antennas. Money was paid and a package arrived from Bulgaria. A die-cast box was acquired for the project as I wanted good screening. 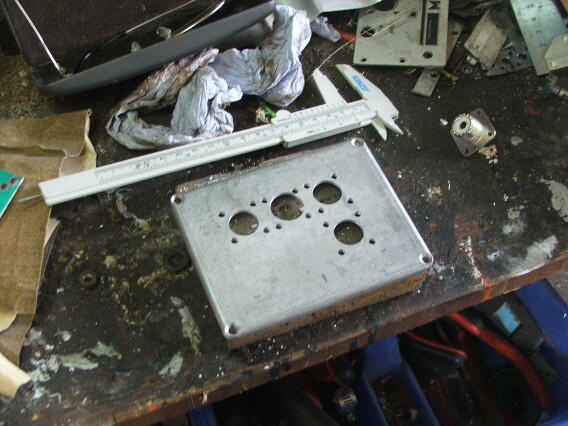 The switch pcb was laid on the box cover to mark up for drilling. This image below shows the milling out for the connectors. I don’t like this part because i am not very good at metal work. 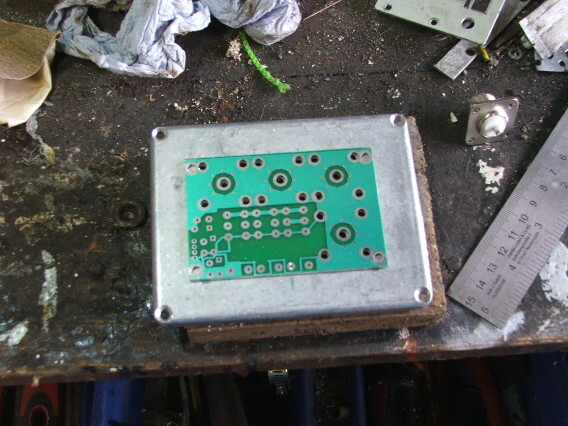 The pcb was assembled and fitted to the top cover of the box this way the antenna connection joints are protected. Salvaged 6 way mic connectors are used for the inter connect between this unit and the controller. A sweep of the switch showed no reflected power higher than 1.2 between 20m through to 2m. A good flat result across all the ports with negligible loss on all three. I also added a gas discharge tube across the output to reduce any static build up when in use. Below is the finished unit. At present the switch is connected to a manual controller on the desk. 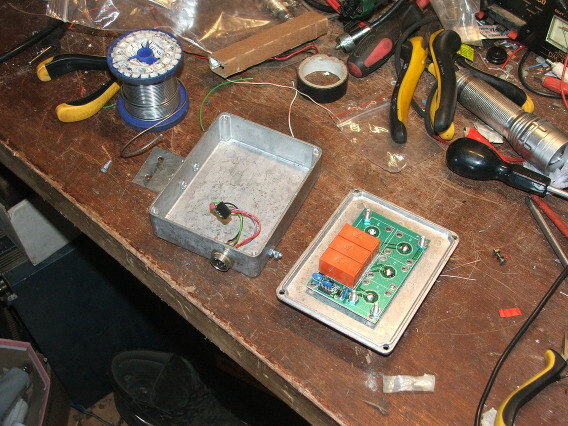 Future plan is to automate antenna switching by Civ band control from the transceiver. 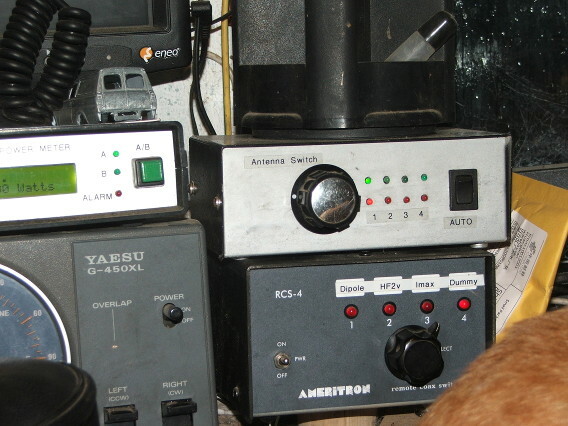 Above the Ameritron controller is the home brew manual controller. this has the option for two outputs which give more flexibility of control. I have constructed some two way antenna switches for flexibility when operating the club station portable. Look out for the next phase.